Hi, Robin. Thanks for a great podcast! A qq, how did the Byzantines (Romans) call the Balkan peninsula? According to Wikipedia the ancient Greeks called it the peninsula of Haemus. 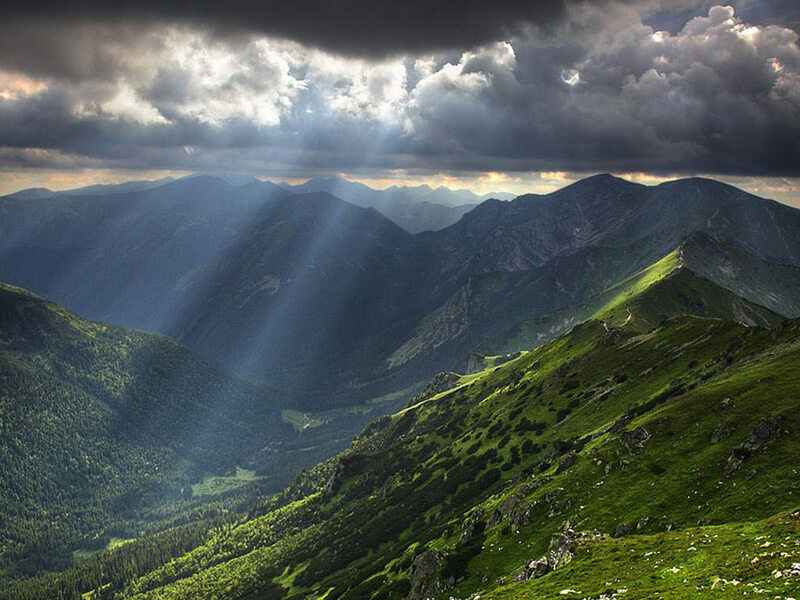 They called the Balkan Mountains the Haemus mountains. However during my time studying I haven’t seen this referred to. Administratively they called the west Illyricum and the east Thrace. I could be wrong but they may not have referred to it as one peninsula very often. Strategically the very west was so close to Italy and the east to Constantinople that they may have been thought of as appendages to those places. So smaller regional names like Dalmatia, Macedonia, Hellas, Dacia, Scythia may have been more common. See the maps page for more. – According to both Theophanes Confessor and Patriarch Nikephoros, the Slavs who fled to Byzantium and were settled near Artana (“208 000”, according to Nikephoros), did so in 763, possibly after the battle of Anchialos in the same year, where the Slavic auxilias (“20 000”, according to Theophanes) supposedly changed sides and joined the Romans at some point. In any case, I couldn’t find any information about them doing so because they were loyal to one of the murdered Bulgar rulers. – Concerning Vinekh: he’s not the one who fled to Constantinople – that’s Sabin in 766, the second ruler after Vinekh. Vinekh himself was killed around 762, together with his family, due to pursuing peace despite the successful battle at the Rishki Pass of 759, which you missed (note: from the 750s till the 770s Bulgaria faced its most unstable period, possibly due to a theorized struggle between an anti-Byzantine/pro-war and a pro-Byzantine/anti-war parties among the Bulgar nobility). – Also, about the battle where Leo, the strategos of the Thracesians (not of Thrace), and Leo, the logothete of the dromos, were killed – that’s actually the battle of Veregava/Rishki Pass in 759, which was the above-mentioned Bulgar victory of Vinekh, whereas the battle you’re covering here is the battle of Marcellae of 756, which Vinekh lost. Respectively, Vinekh wasn’t killed (yet) – the previous ruler, Kormisosh, might have been killed in the same year (756) after the possibly failed [see below] raid to the Long wall, but that’s uncertain, since Kormisosh and Vinekh were from the same clan. – About the initial Bulgar raid all the way to the Anastasian walls, it should be noted that Theophanes claims the Bulgars were successful and returned home laden with spoils, while Nikephoros, on the contrary, claims Constantine met them before they even reached the Long wall and routed them. Yet another example how two primary sources can claim two polar opposites about the same event. – In 755 or 756 Kormisosh of Bulgaria demanded tax from Constantine V for the increased fortifications of Thrace. After the refusal, he then raided until the Long wall, where he may or may not have been defeated, but in any case, he vacated “the throne” in the same year 756. – The new ruler, Vinekh, immediately had to face Constantine V’s first (out of nine) campaign against Bulgaria in the battle of Marcellae of 756, where Constantine was victorious. Vinekh sued for peace and sent hostages, but managed to retain his position. Then in 759 Constantine invaded again, but was this time defeated at the battle of the Rishki pass. However, despite his victory, Vinekh sought peace again and a few years later was killed by the discontent nobles (which is somewhat ironic). – In 763 the new ruler, Telets, raided the frontier zone and when Constantine V responded to this attack, the two armies met at the battle of Anchialos of 763, which lasted a whole day and ended with Byzantine victory (with the Slavs possibly changing sides and some Slavs finding refuge in Byzantine Anatolia the same year). Telets himself managed to escape the battle, but was eventually killed a couple of years later by the discontent nobles. – Somewhere around this time (765 or 766) Constantine sent a fleet of 2600 ships, but they were sank by the strong winds near Anchialos. In 765 Sabin, the new Bulgar ruler, began secret negotiations for peace with Byzantium, but upon discovering this, the nobles rebelled, claiming “Because of you Bulgaria will be enslaved by the Romans” (according to Theophanes) and Sabin had to flee to Mesembria in 766, from where he took a ship to Constantinople and lived the rest of his life there. This is, more or less, where this episode ends. – Sabin’s protege on the Bulgarian “throne”, Umor, lasted only for 40 days, before he was replaced (one way or another), by Toktu in 766. – Toktu lasted for only a year (766-767) and was forced to flee north to the Danube, where he was killed. Nikephoros claims this happened due to a campaign by Constantine, which reached into Moesia and the vicinity of Pliska, but he’s confusing it with the one from the following year (note: Theophanes, on the other hand, completely skips Umor and Toktu and goes directly to Pagan). – Pagan also lasted for only a year (767-768) – he sent a peace envoy and had a negotiation meeting with Constantine, who had brought with himself Sabin and scolded the Bulgars for their anarchy. Peace was agreed upon, seemingly, so Constantine secretly sent men to kill Slavun, leader of the Slavic tribe, which guarded the Balkan passes for the Bulgars, as well as Christian, leader of the Skamaron rebels. Constantine then took use of the situation and successfully crossed the Balkans into Moesia and raided the countryside around Pliska before returning home. Pagan had to flee (towards the sea, so he was probably trying to reach Constantinople as Sabin), but was killed near Varna in 768. – Then comes Telerig, the final Bulgar ruler Constantine had to deal with. In 774 Constantine launched another campaign and reached Varna with 2000 ships, but for some reason didn’t press his advantage and accepted the Bulgar proposal for a peace treaty. Upon returning to his capital, he learned from his spies that the Bulgars were sending an army to expand into Berzitia (Slavic Macedonia), so he sent an army of his own and defeated them in a surprise attack. He then launched another campaign against Bulgaria, but his fleet was again almost fully wrecked by the strong north winds near Mesembria. Then Telerig supposedly managed to use a very simple trick to reveal all Byzantine agents in the Bulgar court (which were then executed), but Constantine failed to exact revenge – he launched yet another campaign against Bulgaria, but fell ill on the way and died soon thereafter. P.S. Oh, and the only “pocket of steppe grassland” between the Danube and the Balkan mountains is the area of modern Dobruja (Scythia Minor), while Moesia (the Danubian Plain) is a normal, hilly, often forested plain. The areas north of the Danube are more steppe-like, though even the Wallachian plains aren’t really a steppe. “Pocket” was obviously just a summary term for the larger area. Theophanes and Nicephorus actually disagree repeatedly about the details of the Bulgar front. The summary I gave is based on the reconstructions of modern historians. I do research the podcast thoroughly. The steppe note was just a sidenote. It’s largely inconsequential. I just thought I’d try to clarify it as well. Otherwise, indeed, it makes you wonder what would we know as history if some of our current sources was gone or if more were available. F.e. while I was proof-reading my post above (unfortunately, I’m away from most of my books, so I had to resort mostly to the primary sources I have online and only the conclusions of the more notable historians on the matter), I noticed that only Theophanes mentions the battle of the Rishki Pass/Veregava (the one you missed), whereas Nikephoros is the only one mentioning the events around Umor (the last one mentioned in the Nominalia of the Bulgarian rulers) and Toktu. Not to mention the campaign with the crashing ships – both authors describe it, but Theophanes then describes an eerily similar episode nearly a decade later as well. In general, it’s quite a mess, so it’s understandable how some historians who haven’t delved deep into the problem might get confused (especially if they don’t correlate with the other available sources (like the aforementioned Nominalia) and the studies on them). I’ve looked up Warren Treadgold’s (A History of the Byzantine State and Society) narrative again to double check. He writes about “Vineck (Sabinus).” As in he equates the two names. He doesn’t elaborate why, but it looks like he’s saying they are the same name in different languages. Excellent episode Robin! Quite contrary to how later Byzantine historians would portray him, Constantine V seems to be a complex and capable ruler. Hi Robin, what does this unusual release time mean for the future release schedule? Also thank you so much for making the podcast, it’s a joy to listen to.